Uke class for parents, carers and their small folk! We’re VERY pleased to announce that our long anticipated ukulele classes for parents, carers and their little folk are being launched in October, in partnership with Nimble Tots! These are interactive classes with no experience necessary, and will be lead by Finn who runs Crescendo. Classes will run every Friday from the 4th November until the 16th December (and there’s a free taster on the 7th October) at the Ivy House, 40 Stuart Road, in Nunhead. SE15. We know it’s an early start for the preschooler session, as this is the only way we could fit it in, but we’ll do our best to have teapots fully loaded! Classes will need to be signed up to for a full half term as classes will build on each other. 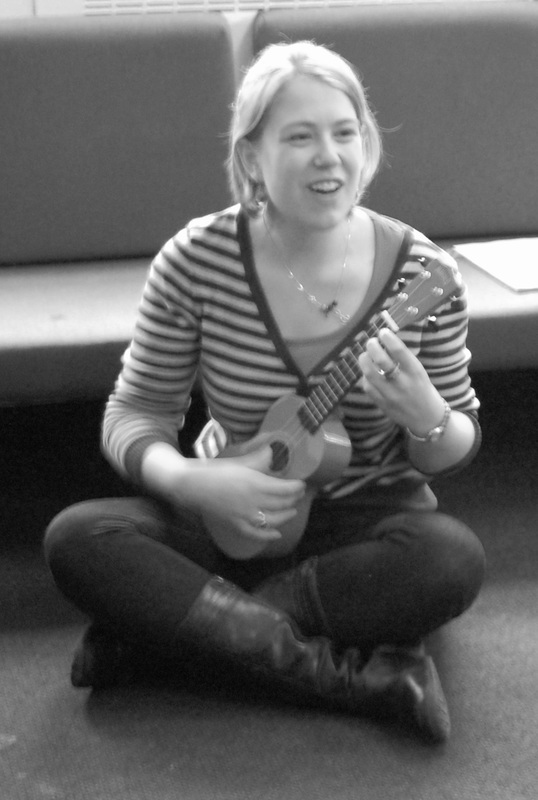 We’ll have small groups, and they’ll involve lots of musical games and activities as well as a chance for adults and younger folk alike to learn the uke together (and don’t forget to bring your uke! We’ll have some advice up here on buying an instrument if you don’t have one already). 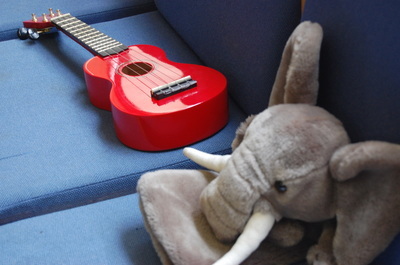 There are classes for parents/carers with tiny tots (pre-crawlers) when we’ll focus on the adults learning, then there will ‘music with a uke’ classes for older babies and toddlers where parents/carers will play the instruments, but children will be involved a lot! 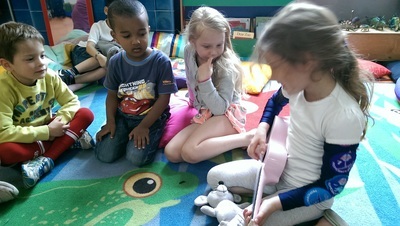 Then for preschooler classes (for 3.5 year olds and above), both adults AND children will play and learn together! Price: £56 for the full half term block for each adult/child pair, or £51 if you book by the 7th October. Siblings are welcome at half price – pre-crawling babies can join any session with their older sibling (no sibling fee for babies under 6 months), older siblings are half price, and we think it’s best for you to attend the class appropriate for the youngest child (but do email if any queries about this!). Book by the 7th October and save £5. Please email any questions – we’ll get some FAQs up here soon too!